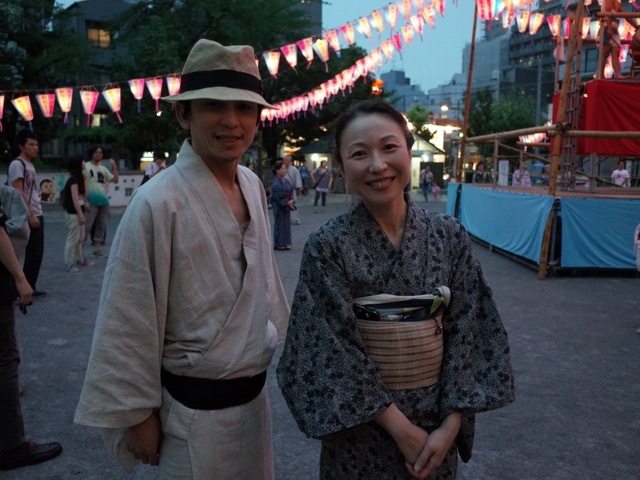 You don’t know any steps, so when Yoko Inamoto of antique store Hotaru-do tells you she’s rehearsing for the bon-odori in Iriya Minami park and you should come on the night, you turn up as a spectator. But as the drumbeats start and the neighbourhood young and old begin to welcome back their spirits of the dead, you can’t help but think of some of your own long-gone relatives who could do with a dance. So don’t worry, join the circle, next to Yoko and husband Jun, or copy someone else who looks like they know what they’re doing. Most gestures repeat on the opposite side of the body, and there’s a limited number of moves per cycle. So you can sort of grasp these songs like Tankobushi Ondo – Coalmining Dance – and Asagao Ondo – Morning Glory Dance. And as a couple of the locals say, they forget it every year anyway. 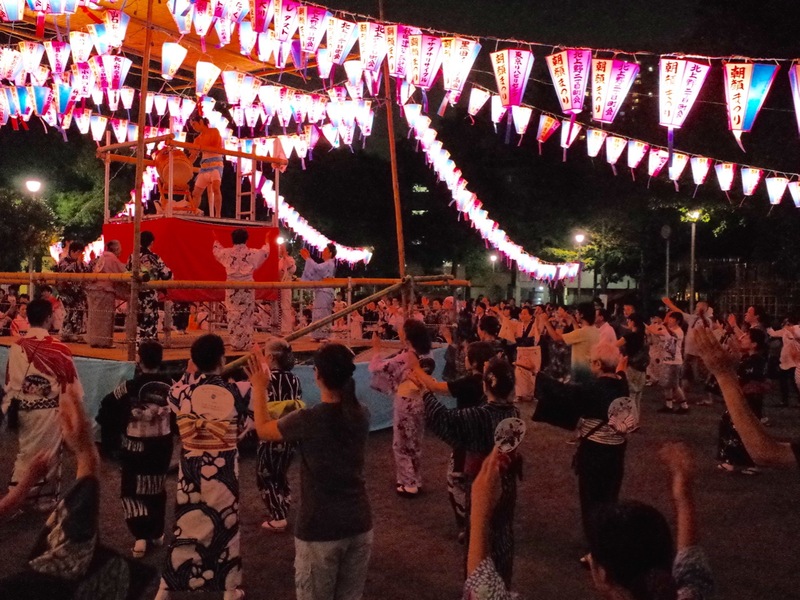 Bon dances happen all over the country, are regionally unique, and generally take place deeper into summer – Iriya is one of the earliest. 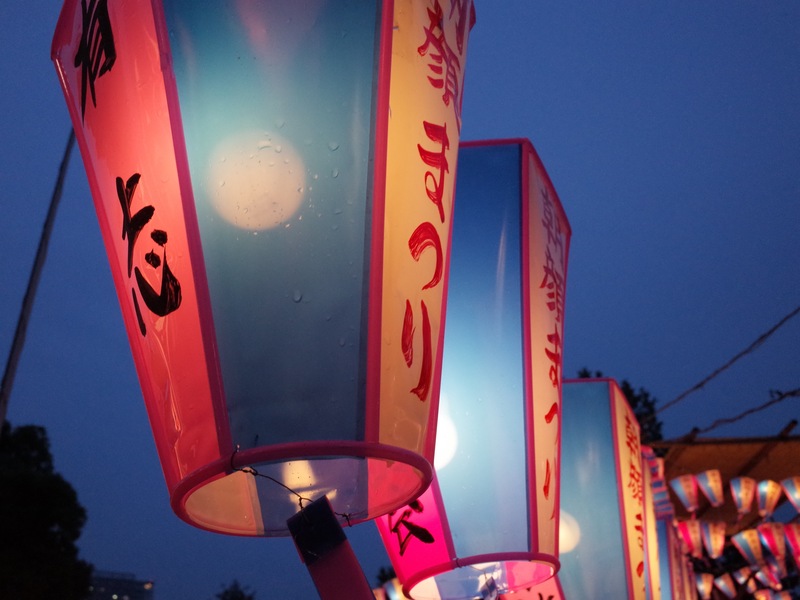 It’s held every July 6,7,8 and runs together with the Asagao Ichi, the morning glory festival. From 7 to 9pm until July 8.